Nowhere was the Cold War more intense, nowhere was it more likely to have broken out, and, provided it remained non-nuclear, nowhere was it more likely to have been decided than in Europe – NATO’s Central Region. In compliance with their wartime agreements, the Allies divided Europe into two, split by a line which was christened the ‘Iron Curtain’ by Winston Churchill, although where it ran north–south through Germany it later became known, rather more prosaically, as the ‘Inner German Border’ (IGB). Belgium, Denmark, Luxembourg, the Netherlands and the major part of Germany were in the Western camp, while Czechoslovakia, the remainder of Germany, Hungary and Poland lay in the East. Sweden and Switzerland were long-standing neutrals, while Austria, after a ten-year Allied occupation, became neutral in 1955. On the Western side the dispositions on the Central Front were principally the outcome of wartime agreements between the UK and the USA, with a last-minute amendment to accommodate the French. Thus the British forces were in the north, with contingents from Belgium, Canada, the Netherlands and Norway all within the British zone. US forces were in the south, but with an enclave at Bremerhaven to ensure their supplies. The French were given a smaller zone in the south-west. Generally speaking, the victors occupied former Wehrmacht barracks and Luftwaffe airfields in accordance with where units came to a halt in 1945. By the early 1950s some of the occupation forces had departed and those that remained did so under the terms of newly concluded treaties with the Federal Republic of Germany. In addition, the formation of the new German armed forces (Bundeswehr), and in particular of the army (Bundesheer), resulted in some reshuffling, the situation then remaining substantially unchanged for the remainder of the Cold War. The great majority of nations depended upon conscription to man their armies, but Canada, the UK and the USA changed during the Cold War to all-regular armies. Among those that depended upon conscription, however, not only were there considerable differences between the systems, but, in addition, the terms decreased in severity and the length of service grew shorter as time passed. By the late 1980s, for example, Danish conscripts served for nine months, those in Belgium and France for twelve months, and the Germans for fifteen months, while the Dutch served for a nominal twenty-four months, although the final few months were spent on ‘short leave’. These reductions in service inevitably reduced efficiency, especially as equipment became more sophisticated and needed greater skills for its operation. In the 1960s Belgium was supposed to provide two corps in West Germany, each of three divisions, giving a total of nine brigades. By 1970, however, the reality was that it fielded only one corps, composed of two divisions, each of two brigades, and then in 1977 there was a further retrenchment, which involved moving one brigade from each of those divisions back into Belgium. A yet further reorganization in the early 1980s resulted in the forces in West Germany being reduced to the corps headquarters plus one division of two brigades and an independent reconnaissance brigade. The second division, consisting of two brigades, was relocated in Belgium. In proportion to its population and resources, during the Second World War Canada made a very large contribution to the Allied efforts; it then continued to maintain a force in western Europe throughout the Cold War. For many years the 4th Canadian Mechanized Brigade Group (4CMBG) was located in the north, forming an essential element of NATO’s NORTHAG (Northern Army Group) reserves, but in the 1970s it was moved south to Lahr, where it became a CENTAG (Central Army Group) reserve. The Canadians struggled manfully to maintain this as a viable force, and its troops were extremely professional, but 4CMBG’s combat equipment was always less than that of a normal brigade, both in quantity and, sometimes, in quality. In the original NATO force goals Denmark was committed to field two full-strength divisions, but this was never achieved, partly because of financial difficulties, but also because of a high level of domestic opposition to heavy defence spending. As a result, there were military manpower cuts in 1973, 1985 and 1987. The main element of the field force was the Jutland Division of three mechanized brigades and one regimental combat group, which was located in peacetime in Denmark, but which deployed to Schleswig-Holstein in war; this deployment, however, would have taken place only some one to three weeks after mobilization, which was needed to round the division out to wartime strength. The second Danish division, which was even more dependent on reserves, defended the whole of the Jutland peninsula, although, as described below, it would have been assisted in this task by the UK Mobile Force. Following its admission to NATO, the FRG rapidly built up its forces, particularly the army (Bundesheer). The initial organization – Heerstruktur I – was tailored to meet NATO requirements and consisted of five divisions, which were completed by 1957 and manned principally by conscripts on a twelve-month engagement. This was subsequently changed in 1958 to Heerstruktur II, to comply with NATO’s new ‘tripwire’ strategy (MC 14/2), and concurrently the army reached its target of twelve divisions. In the aftermath of the 1961 Berlin crisis, conscription was extended to eighteen months. 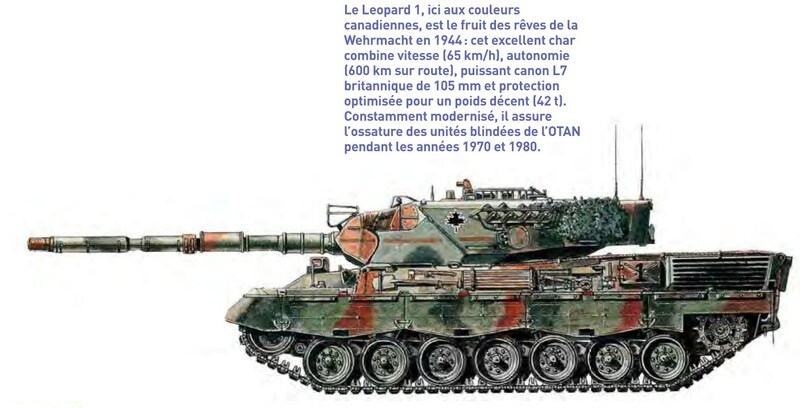 The 1967 NATO change to ‘flexible response’ (MC 14/3) resulted in Heerstruktur III, which included strengthening the panzer (armoured) divisions, increasing the ‘teeth-to-tail’ ratio, and creating a territorial army. Finally, Heerstruktur IV, introduced in 1981, strengthened the brigades in the regular army and restructured and strengthened the territorial army. 1 (GE) Corps was part of NORTHAG, being positioned between the Dutch and British corps, and consisted of three panzer (armoured) divisions and one panzer grenadier (armoured infantry) division – a total of twelve brigades. 2 (GE) Corps was in the south, facing the Czechoslovak border and essentially defending the hilly country of Bavaria. Its composition reflected the complexity of its role: one panzer, one panzer grenadier, one mountain and one airborne division – a total of twelve brigades. 3 (GE) Corps was the northernmost corps in CENTAG, and on deployment would have been located between the Belgian and US corps. It consisted of two panzer divisions and one panzer grenadier division – a total of nine brigades. The twelfth division was committed to NATO’s LANDJUT (Land Forces Jutland) and was located in Schleswig-Holstein. An efficient conscription system maintained this force at a high degree of readiness. Combat units (i.e. brigades and below) normally required only an additional 5 per cent to bring them up to war strength, while divisional support units needed 25 per cent and corps support units 50 per cent. In the early days of NATO tiny Luxembourg produced a regimental combat team of three battalions, but this commitment slowly decreased until by 1988 there was just one light-infantry battalion, whose war role was with the Allied Command Europe Mobile Force (Land) (AMF(L)). The Dutch provided 1 (NL) Corps, which was responsible for NORTHAG’s left flank, where it was located between LANDJUT and 1 (GE) Corps. One of the major problems for 1 (NL) Corps was that only the 41st Armoured Brigade, a reconnaissance battalion and some support units were stationed in the FRG in peacetime; the remaining units were in the Netherlands, and, from the time the Dutch government gave the order, would have required ninety-six hours to reach their combat positions. The Dutch conscription system was known as ‘Direct Intake into Reserve’, and each regular unit had a reserve ‘shadow’ unit. Conscripts served for two years in a regular unit, of which the last six months, sometimes longer, were spent on ‘short leave’, which meant that they were liable to rapid recall, following which they were transferred as a group to their ‘shadow unit’, where they served for a further eighteen months. Efficient as this system was, it still took time to implement. The main British contribution was 1 (BR) Corps, which was part of NORTHAG. During the Cold War few countries reorganized their army as frequently as the British; on some occasions the reorganization was due to changing national, political or economic circumstances, although on others the reasons baffled friend and foe alike. To implement the 1976 changes a fourth divisional headquarters (HQ 3 Division) was taken over to Germany, while to implement the 1982 changes a different divisional headquarters (HQ 2 Division) was returned to the UK. In the UK this divisional headquarters retained its war role in Germany, being committed to the new task of rear-area security of 1 (BR) Corps, for which it fielded three motorized infantry brigades, one of which was regular and the other two from the Territorial Army. As a quite separate commitment, the British provided the United Kingdom Mobile Force (UKMF), which consisted of the 1st (UK) Infantry Brigade (four motorized infantry battalions, one armoured reconnaissance battalion, one artillery battalion and an armoured squadron) and an air-force component of three fighter squadrons. In addition, since by NATO rules communications and logistics were a national responsibility, the force required a large logistics tail, bringing the UKMF total to well in excess of 15,000 men. This force was stationed in peacetime in the UK, and in war would have had to mobilize (approximately one-third was from the Territorial Army) and then move either to Jutland, where it came under command of the Danish Commander LANDJUT, or to northern Italy. The United States made a major contribution to NATO land forces on the Central Front, with the US army undergoing a number of reorganizations during the years of the Cold War. In the military excitement of the 1950s, the post-Second World War army in Europe was converted into the ‘Pentomic Army’, equipped with battlefield nuclear weapons and organized on the basis of a ‘rule of five’ – i.e. five battalions to a brigade, fire brigades to a division, and so on. In the 1960s the Vietnam War, not surprisingly, took priority in all US military thinking and Europe was something of a backwater, regaining its precedence only in the early 1970s. Conscription ended in 1973, although legislation for the ‘draft’ remained for use in an emergency, but US manpower in Europe actually increased over the years, from 197,000 in 1975 to over 227,000 in 1988, of whom 204,700 were army personnel stationed in the FRG. US ground forces were commanded by the Seventh (US) Army and organized into two corps, 5 (US) Corps in the north of the former US zone and 7 (US) Corps in the south, both of which came under CENTAG in wartime. Most US units were stationed in the FRG in peacetime; however, some elements were ‘dual-based’, which meant the manpower was stationed in the USA in peacetime but in war would make use of a full duplicate set of equipment located in Germany.fn1 Each corps also included an armoured cavalry regiment, which was permanently based in the FRG. In addition to these divisions, there were seven artillery brigades, four independent artillery groups and nine surface-to-surface-missile battalions (three with Pershing II, six with Lance), as well as numerous engineer, aviation, communications and logistics units permanently in Germany, with many more in the USA, earmarked for the Central Front in war. The US goal was to have ten full divisions in western Europe within twenty-one days of a deployment order. This would have enabled them to field two full-strength corps in CENTAG, one full-strength corps (3 (US) Corps) in the north as CINCENT’s reserve, and one division (2 (US) Armoured Division) as part of NORTHAG. In 1945 the French army occupied a zone in south-west Germany abutting on the French border, where it remained throughout the Cold War, first as an occupying power, then under a bilateral treaty with the Federal Republic on the admission of the latter to NATO, and finally under a new bilateral treaty following France’s withdrawal from the NATO integrated command structure. From that time, however, France’s forces in the FRG were no longer assigned to NATO, and their precise role in war was never totally clear, although, as described elsewhere in this book, while the French relationship with NATO underwent a number of changes, the relationship was always closer than was depicted in the media. The major field formation was always the First French Army (FFA), but its internal organization underwent a number of reorganizations over the years. Once French nuclear weapons became operational, the ground forces were organized to serve as a ‘trigger’ for French nuclear intervention, but they were subsequently reorganized to enable them to play a more positive role in the land battle. The most significant factor on the ground was that, if NATO defences in West Germany failed to halt an attack, there was little likelihood that victorious Soviet forces would halt on the Franco-German border; it thus made sound sense for French ground forces not only to defend the border, but also to bolster NATO defences to the east of that border. For this reason detailed plans were made for French counter-attacks, particularly in the NORTHAG area. 3 (FR) Corps – two armoured divisions and one infantry division, all stationed in north-east France. In addition, the Force Action Rapide (FAR) consisted of four divisions (one light armour, one marine, one airborne, one alpine) and the Foreign Legion Operational Group. These were designed to conduct intervention operations outside Europe in peacetime, but would have been available for national defence in time of war. from Czechoslovakia, with two pincer movements meeting west of Munich. The defence of the Central Region against these threats was not an easy task. Western Germany stretched approximately 700 km from north to south and was some 300–400 km wide, which meant that, from a military point of view, it was seriously lacking in depth. The original strategy for the defence of the Central Region was based on a thin ‘crust’ of conventional forces, penetration of which would have resulted in the virtually automatic use of nuclear weapons.1 This was subsequently changed in December 1967 to the strategy of ‘flexible response’, which required a credible conventional defence, sufficiently strong to contain any attack as far forward (i.e. as near to the IGB) as possible. Both these strategies were, however, within the overall concept of ‘forward defence’, which, not surprisingly, was insisted upon by the West Germans and required that Warsaw Pact forces be held as far to the east as possible, even though this was not necessarily ideal from the operational point of view. The task of defending central Europe fell to NATO’s Allied Forces Central Europe (AFCENT), which was originally located in France and commanded by a French general, but in 1967 it moved to Brunssum in the Netherlands, at which time a German general took command. The command was divided into two – Northern Army Group (NORTHAG) and Central Army Group (CENTAG) – commanded by a British and a US general respectively. The headquarters of AFCENT, NORTHAG and CENTAG were fully integrated NATO organizations, but below them were a number of corps, each of which was almost totally national in organization. This provided a certain degree of strength, but also caused NATO a number of difficulties, not least because nations retained the right to organize, equip and train their troops according to their national requirements, standards and traditions; nations were also, to a large degree, able to decide on their readiness and mobilization plans. As a result, there was no such thing as a standard NATO division in size, organization or tactics, and when more than one nation used the same equipment it was frequently as much by chance as by design. There was a major anomaly in that, while Denmark and Schleswig-Holstein were the vital northern flank to the Central Region battle and overlooked the exits from the Baltic (also an area of vital interest to the Central Front), they came under CINCNORTH (in Norway) rather than under CINCENT. Two major threats faced Denmark, both of which emanated from areas of vital interest to the Central Region: a Soviet/East German overland thrust through Schleswig-Holstein, and an amphibious attack by East German, Polish and Soviet marines along the Baltic coastline. NORTHAG headquarters was at Rheindahlen, just outside Mönchengladbach, Germany, and was a fully integrated NATO headquarters, commanded by a British four-star general. It was responsible for the defence of the Federal Republic from the southern border of Schleswig-Holstein in the north, to a line running approximately from Kassel to Bonn. Its area of responsibility thus included the North Sea coast with its vital ports of Bremerhaven and (in depth) Antwerp and Rotterdam, the North German Plain leading to the Ruhr, and the Harz mountains in the south. 1 (GE) Corps consisted of three panzer divisions (1, 3 and 7) and one panzer grenadier (11) division, each division comprising three brigades. Each brigade was made up of four panzer or panzer grenadier battalions, of which three were fully active, while the fourth was at cadre strength only, requiring reservists to bring it up to strength on mobilization, which would have required ninety-six hours. 1 (GE) Corps’s position was to the right of 1 (NL) Corps, where it shared the responsibility for the North German Plain with 1 (BR) Corps. Alone among the national contributors to the central region, the Germans were split, 1 (GE) Corps in NORTHAG being located at a considerable distance from 2 and 3 (GE) Corps in CENTAG. 1 (BR) Corps held the southern part of the plain, sitting astride the main east–west Hanover–Essen autobahn route, which would inevitably have been one of the Warsaw Pact’s main axes of advance. The corps consisted of 1 and 4 Armoured Divisions, each with three armoured brigades. 3 Armoured Division, however, consisted of two Germany-based brigades – one armoured brigade, with two armoured battalions and one mechanized infantry battalion, and one brigade which was termed ‘armoured’ but in fact consisted of one armoured and two mechanized infantry battalions – while a third brigade (the 19th Infantry Brigade) was stationed in the UK in peacetime. 2 Infantry Division (three motorized infantry brigades) was also stationed in the UK in peacetime. British plans involved the move of some 60,000 troops across the Channel to bring 1 (BR) Corps and its support elements to full strength of some 120,000. 1 (BE) Corps was responsible for the high ground on the southern edge of the NORTHAG sector, which had the reputation of being ‘difficult tank country’, although whether the Warsaw Pact shared that opinion was a different matter. The Belgian corps consisted of one division (16 Mechanized) of two brigades (one armoured, one mechanized), plus the Groupement Reconnaissance (equivalent to a brigade) in Germany. The second division (1 Mechanized), with two brigades (both mechanized), was stationed in Belgium. 2 (US) Armoured Division was tasked as NORTHAG reserve and would have deployed initially on the left, in the rear of 1 (NL) Corps. The division consisted of three brigades, of which one was located in West Germany in peacetime, while the remainder of the division was in the United States, but with duplicate equipment stockpiled in Germany. There were also contingency plans to deploy an additional US-based corps to the NORTHAG area, where it would have served as the CINCENT reserve. This was 3 (US) Corps, for which two divisions-worth of equipment were stored in Belgium and the Netherlands.